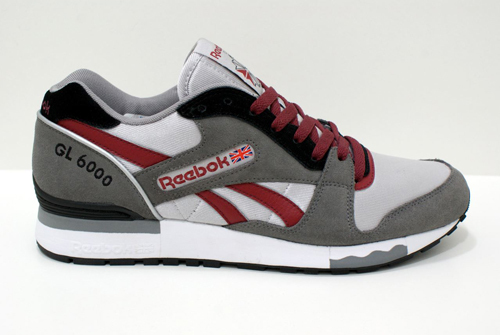 Introducing, or should I say re-introducing, the Reebok GL 6000. Originally released in ’84, this kick was a high-tec runner back in it’s day. Now it’s a truly OG classic that will never fail to look fresh. I have a soft spot for clean, simple, classic runners. This one in particular. Featuring suede, nylon and leather on the upper in a Grey/Silver/Cardinal colour-way, this kick demands respect. It’s all about the Cardinal leather Vector logo on the side – good finish. You can get your hands on this beauty now from Ryöüki for £64 a pair.